State legislatures have enacted more than 500 pieces of legislation related to voting since the 2016 election, according to data collected by the National Conference of State Legislatures. Nearly every state has changed something about its voting process. Some changes, like the court-mandated redistricting of Pennsylvania's congressional districts, have the potential to radically alter the political landscape, but most changes are small, like H.B. 149 in Idaho, which adds concealed carry licenses to a list of acceptable voter identification documents. Take Texas in 2016, for example. A federal judge ruled in 2014 that the state’s law requiring one of seven strict forms of government-issued photo ID was discriminatory. After a couple of unsuccessful appeals by the state, the judge wasn’t able to settle on a temporary fix until August of 2016, leaving officials scrambling to implement it before early voting started in late October. Poll workers were confused, and in many cases enforced the law incorrectly. Below, we highlight changes to the voting process since the 2016 election that seem most likely to change what voters experience when they enter the polls on Nov. 6, in an election that could change the balance of power in Washington. Some states have made changes to existing laws requiring that voters show ID, while others have implemented an ID requirement for the first time. In the past two years, at least five states — Arkansas, Iowa, Missouri, North Dakota and Texas — have passed new laws requiring voters to provide identification in order to vote. In total, some 34 states now have laws that either require voters to show some form of identification at the polls or to sign an affidavit if they don’t show identification. Voter ID laws remain at the center of an intensely partisan debate. Opponents say the laws disenfranchise voters by requiring overly burdensome documentation. Supporters, meanwhile, argue that the laws prevent potential voter fraud, though there’s no evidence fraud is occurring at any substantial scale. The immediate impact of these laws on the midterm elections will vary by state. Iowa, for example, is easing voters into its new voter ID law with a “soft rollout” in 2018, allowing voters to sign an oath of identity in lieu of providing an ID before a “strict” implementation in 2019. A half-dozen lawsuits across the country still have the potential to reshape voter ID laws before the midterm elections. Automatic Voter Registration, proof-of-citizenship and proof-of-residency requirements, along with changes to election-day registration and voter registration drives, are changing how people register to vote across the country. Many of the changes states have made to voter registration laws in the past two years have made it easier for citizens to register to vote. 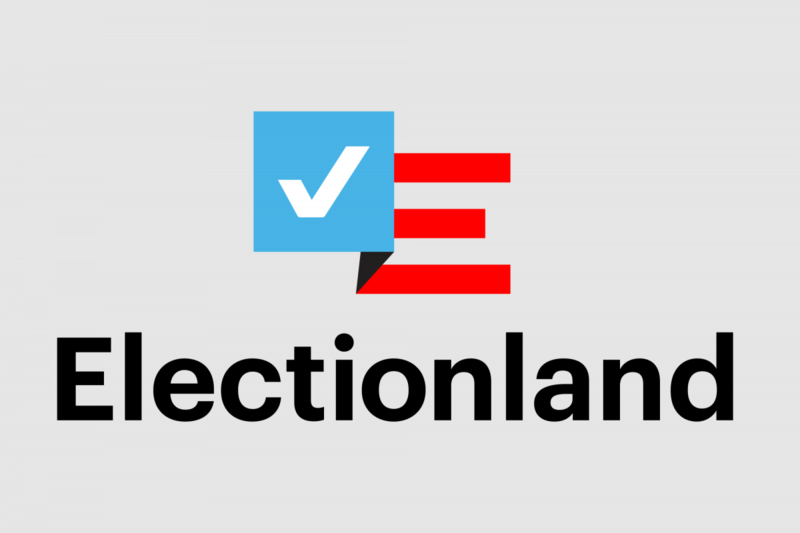 Since 2016, online voter registration has been implemented in five states, bringing the total number of states that offer this to 37 plus Washington, D.C.
Automatic Voter Registration, a relatively new reform, has received widespread bipartisan support and will be implemented in up to seven states — Alaska, California, Colorado, Connecticut, Illinois, Rhode Island and Vermont — and the District of Columbia for the first time in the lead-up to the federal election this November. The mechanics of AVR are straightforward: When you visit a state agency — to renew a drivers’ license, for example — the information you provide is automatically used to add your name to the voter registration rolls unless you decide to opt-out. A handful of states have put new restrictions on the voter registration process. Iowa, for example, passed a law in 2017 setting new regulations for both voter registration drives and election-day registration, and the legislature in Georgia codified into law a controversial “exact match” policy, which would reject voter registration applications if the information provided doesn’t exactly match information found in government databases. The crosscheck system, which suffers from numerous data security flaws, was created and run by the Kansas secretary of state’s office and is often cited by Kris Kobach, Kansas’ secretary of state, as a way to identify voters casting ballots in more than one state. Litigation continues to alter the landscape surrounding voter registration laws. In June, the Supreme Court upheld Ohio’s practice of purging voter rolls, a federal judge struck down Kansas’ restrictive proof-of-citizenship law only a month and a half before the state’s primaries, and Arizona eliminated its complicated dual-form registration system after facing a challenge in court. Since 2016, at least three states have enacted policies with the effect of expanding voting rights for people with criminal records. Felon voting rights — and efforts to restore voting rights to felons who have completed their sentences — continue to vary widely between states. In 2017, Alabama passed legislation that clarified which crimes are grounds for disenfranchisement under the state’s constitution. In practice, the legislation reduced the number of crimes for which citizens can lose the right to vote. New York Gov. Andrew Cuomo issued an executive order in April creating an avenue to restore voting rights through pardons to more than 35,000 New Yorkers on parole. The first set of pardons, announced by the governor’s office in May, restored voting rights to 24,086 New Yorkers. In Virginia, more than 170,000 ex-offenders have had their voting rights restored since the 2016 election, largely thanks to former Gov. Terry McAuliffe, who issued individual restorations after a previous blanket-restoration was challenged in court. Courts have ruled on important cases that deal with racial and partisan gerrymandering. In deciding Gill v. Whitford, the U.S. Supreme Court punted on whether the challengers had presented a “justiciable standard” courts could use to determine whether a redistricting plan was a partisan gerrymander. The court instead ruled that the challengers had not established their standing to sue, and sent the case back to the lower court. The Pennsylvania Supreme Court ruled in January that the state’s gerrymandered congressional map “clearly, plainly, and palpably” violated the Pennsylvania Constitution. The court released a new map in February, which went into effect in time for Pennsylvania’s May primary. Legal challenges to redistricting often occur on the local level. The city of Pasadena, Texas, for example, altered its electoral structure from eight single-member districts to a hybrid map with six single-member districts and two at-large districts, eliminating a predominantly Latino district. In January 2017, courts ruled that the change was racially discriminatory and ordered the city to return to its original maps. The city will remain under federal oversight for election changes until 2023. © Copyright Pro Publica Inc.